In this year every tv channel is Launching new Tv entertainment shows and reality shows.We already write about some of upcoming Tv serials which has been launching soon , these shows include Krishandasi on Colors , Tamanna on Star Plus and Meri Sasu Ma on Zee tv. 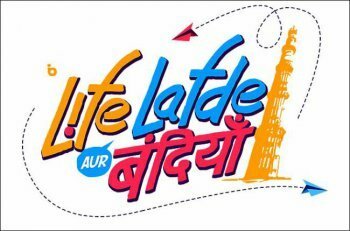 Now popular UTV Bindass channel is launching a new Show tentatively titled as Life, Lafde Aur Bandiya . New show is produced by Slightly Titles Production house .The show theme is based on youth mentality. The channel is trying to display the college life of Young Generation in the show. The show telecast details will be soon revealed by Bindass Tv channel. The story of the show revolves around the three college friends . Pupppy(Harshit Sidwani), Chewang(Payal Thapa) and Rishabh(Ayush Verma ) are 3 best college friends and the main character in the show. As we said earlier the show story is based on the college life of student. The new show will present the fun and action which they have done with college girls. As you found word (Lafde = Affair) in the program title you will see the love affairs of these 3 friends in the show. I hope this show will provide you full entertainment. Star cast of the show includes some new faces . Ayush Verma, Payal Thapa and Harshit Sidwani are in Lead role in the show. Show promo is not yet released by UTV Bindass. We are waiting for promo as soon as we get any promo video of the show we will update it here. Till than we are sharing title poster of the show which is very beautiful . Hope you will like it also. Launch date of the show is finalized by Bindass Tv channel.The show get time slot of evening and will be premiered from 29th January 2016 at 06.00 pm on every Friday. So the new show will be a once in a week show. Stay Tuned with newstechcafe for more information about this show. can you please upload full episodes till now of this show? A rapid Internet association is basic in ensuring that the parcels are gotten immediately. Programme and movie trailers will contain interactive links that can be selected to schedule a recording. Remote scheduling of recording will also be possible using a mobile phone or the web.